On staff since 2001, Pastor Kirk was ordained in 2004 and spent six years as Emmanuel’s Youth Pastor before taking over as the Twenty-Somethings Pastor. He currently serves as Senior Pastor at Emmanuel. Pastor Kirk and his lovely wife Jennifer have two daughters, Sienna and Shay. Kirk loves ministry and all things coffee. Peter began working with Emmanuel’s college and career young adults in 1998 and continues to serve as one of the pastors at Emmanuel. In preparation for his work as a young adult pastor, Peter attended the Torchbearer Bible School in Holsby Brunn, Sweden, and Moody Bible Institute in Chicago, Illinois. 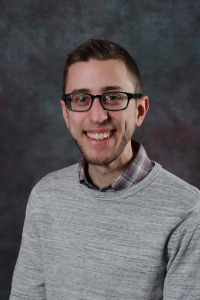 Luke discovered his passion for ministering to teenagers while serving as Assistant Site Pastor at Emmanuel Bible Chapel in Hazleton, PA. Luke accepted Christ as a teenager as part of his youth ministry in Jr. High. He has a passion to know Jesus more and influence teens to love Jesus too. 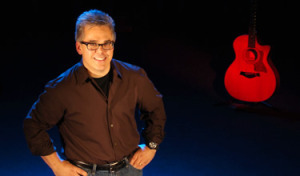 David Buckwalter has been serving as the Worship Director at Emmanuel since 2008. He is responsible for designing, preparing, and leading worship for Emmanuel’s weekend services. Troy currently serves as Technical Director at Emmanuel. He started at the church in 2013 as the Technical Assistant before assuming his current role in 2014. Troy oversees all the technical and media related activities of the church. 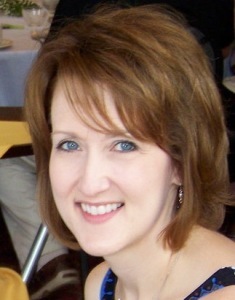 Kristen is the Choral Director and rehearsal coach for the vocal praise teams. She has been serving at Emmanuel since the Fall of 2011. She also enjoys playing the piano, singing, and teaching general and choral music at Johnstown Christian School. Krista Nordlund has been a part of Emmanuel since 1998. She oversees the nursery program for our infants and toddlers. Carla Smith began volunteering as Women’s Ministry Coordinator in 2006 and was hired part-time in January 2008. After obtaining her Master’s Degree and license in Social Work, she began providing counseling at the church full time in 2010. Please download and fill out the required forms prior to your first counseling appointment. Click here to download now. Cheryl Steinbeck came on staff at Emmanuel in December 2006 as the Nursery Director. In August 2009 she transitioned to the Director of Children’s Ministry program. She and her husband Jim have four beautiful children.